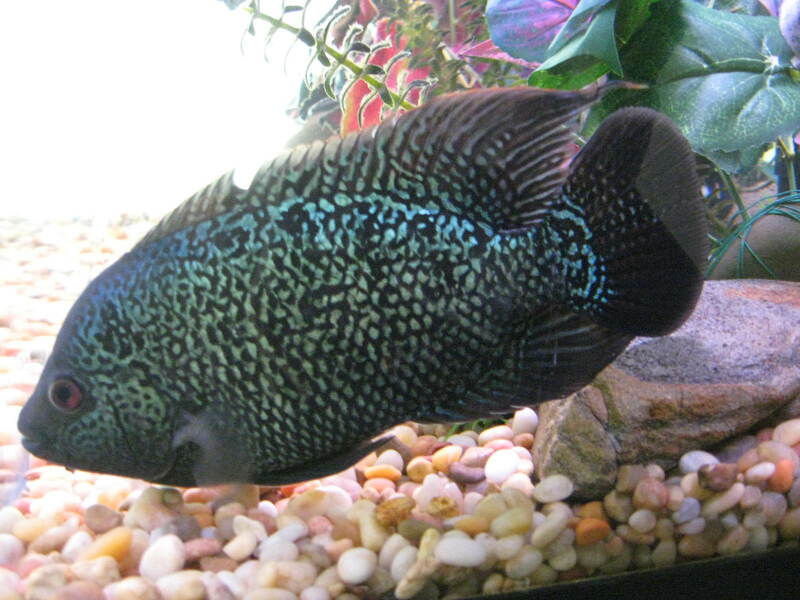 I think flowerhorn as well! Nice looking fish whatever it is. Ok folks.....I guess I have a Flowerhorn, thanks for all your wisdom and kind comments......I'm new here and love this site, it's very informative! Maybe crossed with Texas or carpentis but I say def. not Dempsey.